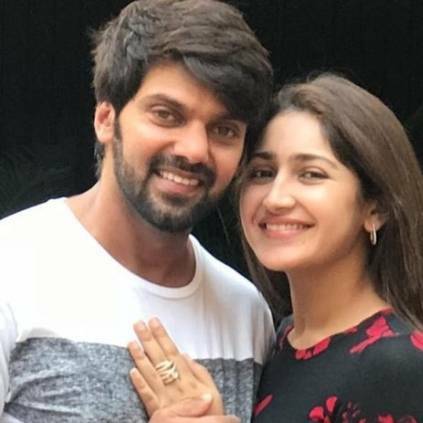 It was recently reported that the Ghajinikanth pair Arya and Sayeesha had been dating and are planning their marriage. While this was only speculated, there were still wishes pouring in wishing the two of them over social media. But the two remained silent and made no announcement regarding the same. On Valentine’s day, both of them have come public about their relationship. They have also announced today that they will be getting married in the month of March. Sayeesah has also posted their picture on her twitter page with the caption ‘Happy Valentine’s Day’ and also a beautiful message. Still power- cut in North ? What happened to Minister Ravi’s promise? Clash at night in Mukamalai ! Helmets shattered !! ! vehicles Fired ! © Copyrights 2014 - 2018 JaffnaZone.com.